The five of them, the Maharaja Ranjit the Elder, his servant Govinder, the young man from Nawanagar who was going to journey all the way to Africa, the Chaiwalla and his ten-year old son, all threw their empty mud cups toward a grassy area where there was soil and tree trunks, and then sat down under a tree to say a prayer for the good people of Nawanagar. We pray to Lord Krishna, who will ensure that the good people of Nawanagar have an abundant table furnished in their wilderness, and where there is drought and hunger, the land of milk and honey shall flow once more. We pray to Lord Shiva, to perform the Dance of Life, so that fortunes and famines are overturned and the princes become peasants, peasants become princes. Maharaja Ranjit the Elder, the young man from Nawanagar who was destined to find his fortune in Africa, and the ten-year old Chaiwalla’s son remained in silent prayer and meditation, their eyes shut. We pray to Lord Vishnu, who did conquer the demon Baali and reclaimed the Universe for us, and we pray to know as Lord Vishnu knows, that they that are with us are far greater than they that are against us. That though the spies and scoundrels of the British Raj are against us, the strong armies of gentle angels of our beloved Lord Vishnu are with us in this battle, on the battlefield of life. 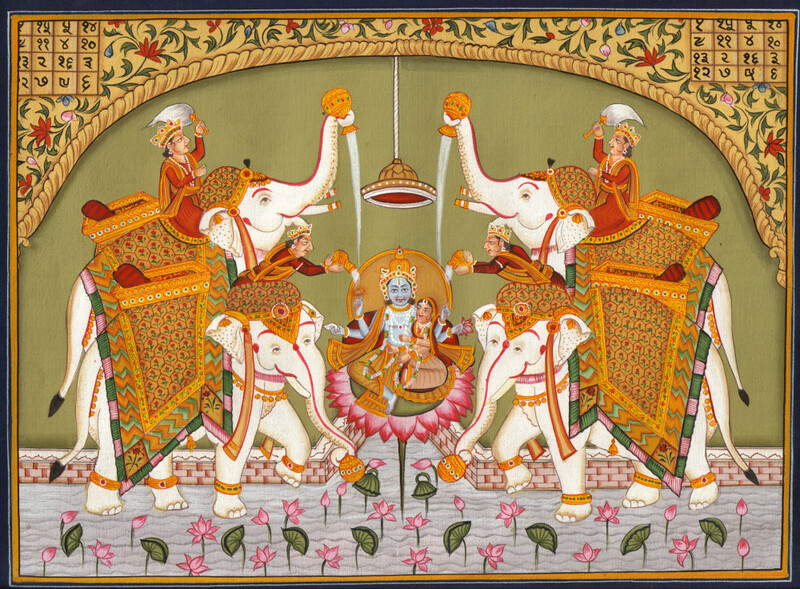 Maharaja Ranjit the Elder responded that he and Govinder would be delighted to go with the Chaiwalla and his son to meet with Lakaji the Elder Elephant and young Raj. Since the pathway to the Sacred Forest began from a train station to which the Chaiwalla and his son were already heading, they agreed that Ranjit the Elder and Govinder would disembark at the same stop as the Chaiwalla and his son, and then begin their trek toward the Sacred Forest. 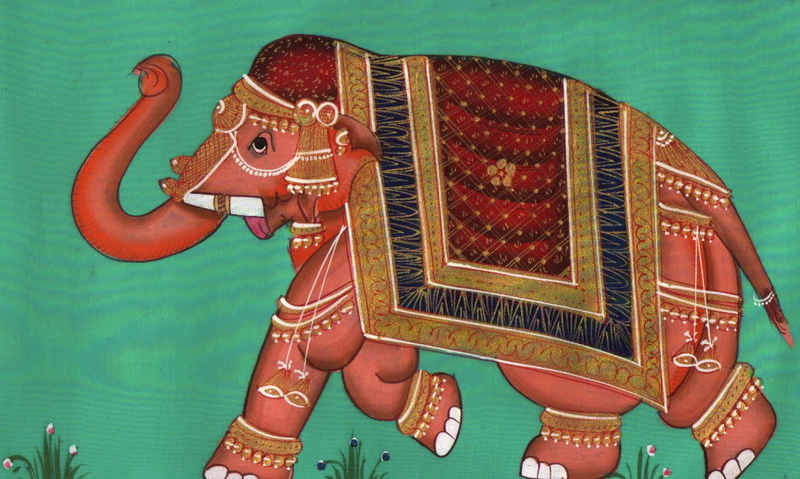 I do humbly pray for the good people of Nawanagar to our beloved Lord Ganesh the Elephant God, that he may be able to deliver us from the fate of our empty barns and storehouses and that the Elephant God will restore to the good people of Nawanagar all that the locust hath eaten. Thus it was that young Raj and his beloved friend, Lakaji the Elephant Elder, completed Day Three of the Great Trek, by bestowing bountiful blessings along the Grand Trunk Road, and planting new seeds in old hearts, whereby the bountiful blossoms where harvested in fruitage forms unforeseen to them, forms such as the encounter with the grateful Chaiwalla, the prophesy of princes becoming peasants and peasants becoming princes; the prayers of Maharaja Ranjit the Elder and his servant Govinder and the Chaiwalla and the Chaiwalla’s son and the young man from Nawanagar who travelled to Africa; and to many others for which and through which young Raj and his beloved friend, Lakaji the Elephant Elder, invigorated and refreshed the souls of those they encountered upon their journey, bringing new visions and new vistas.